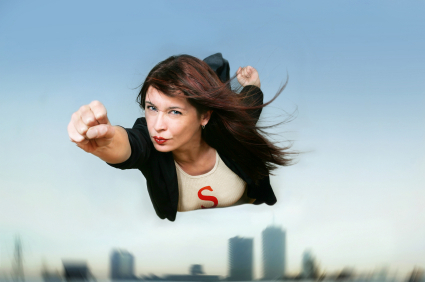 Are you suffering from super mom syndrome? No one can do it all without experiencing the suffering and stress related conditions adherent to the every day demands placed upon them. Suffice to say, many moms have tried; some have been successful, while others have been immeasurably consumed by its consequences. The super mom syndrome is exacting a very heavy toll on their home life, business, and physical well-being. Are you suffering from Super Mom Syndrome? For those of you who are too young to remember, The Donna Reed Show epitomized what it was to be a super mom. Yes, she did it all, and was the perfect role model for women of that era. What most people do not know is that Donna Reed was executive producer of the show, and was heavily involved in the show’s immense popularity. This was at a time when women were subjugated to one particular role. Subsequently, the emancipation of women brought them within equal status of the dominant male. With a nine to five job; children to care for; and either a single parent or not; moms are expected to do it all. But, are they? It certainly can be said they chose this particular path. Thus, the super mom syndrome was born; but at what price? Parenting has never been harder for moms today, especially many of whom try to balance career and family. Let’s face it; no one can do it all without experiencing the suffering and stress related conditions adherent to the every day demands placed upon them. Suffice to say, many moms have tried; some have been successful, while others have been immeasurably consumed by its consequences. The super mom syndrome is exacting a very heavy toll on their home life, business, and physical well-being. Thirty years ago, the top TV shows were exclusively focused on the housewife; the mom. Conversely, the shows today highlight single working moms who effortlessly juggle all of the demands placed upon them with flair and ease. Yes, they sometimes showcase the conflict; but quite frankly, the hype is more conducive to ratings than to real life situations. The super mom syndrome has produced an A type personality, which has contributed to the imbalance and unrealistic expectations imposed by moms who think they can do it all; but soon realize perfectionism can never outweigh the happiness and fulfillment of simply being a mom, without all of the peripheral trappings. You should not suffer any longer. It is important to find a balance; prioritize that which is most important; the children first. They will eventually grow up, leaving you with the inconsolable desire to retrieve their childhood years. Resist the temptation to totally immerse yourself in one area. Stay healthy; keep your friends close, and don’t worry about tomorrow – live within the moment, cherish your family. You are the heart of the house; you don’t need to be perfect, you just need to be a mom. Should You Worry About Co-Sleeping With Your Toddler?